The Supreme Court today issued notice to the Centre on a petition which sought discontinuance of a Hindu religion based song as a morning prayer in 1,125 Kendriya Vidyalayas (KV) across the country on the ground that it was a religious instruction which will create a “lot of obstacles in developing a scientific temperament among the students”. The petition insisted that a school or any educational institution funded by state cannot propagate any particular religion. Stating that the petition filed by the lawyer Veenayak Shah, whose children had passed out of KV had “raised an important issue”, a bench of justices Rohinton Nariman and Navin Sinha sought the view of the Centre within four weeks. 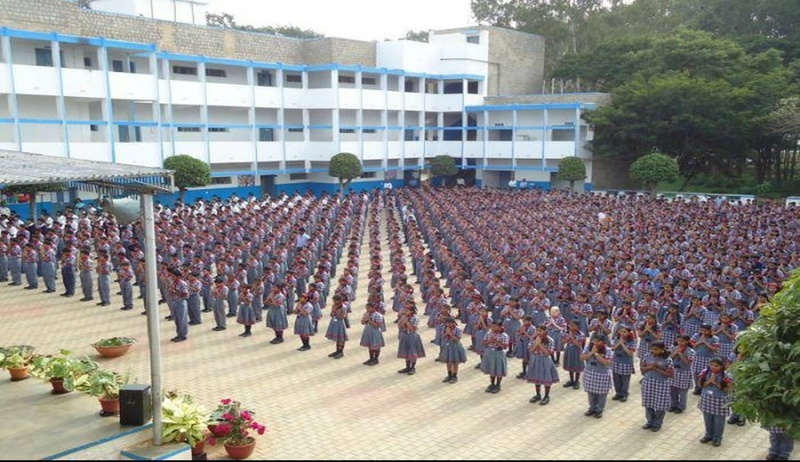 “Issue a writ of mandamus or any other appropriate writ, order or direction to Respondents to forthwith discontinue any form of Prayer from the Morning Assembly or otherwise in Kendraya Vidhalaya Sangathans and to promote Scientific learning among the students”, said the prayer in the petition. Petitioner submits that the above common prayer is a “religious instruction” within the meaning of Article 28 of the Constitution of India and should therefore be prohibited. Shah contended that all the students have to begin their day by reciting the Common Prayer also followed by silent prayer. “This practice creates a lot of obstacles in developing a Scientific Temperament among the students as the whole idea of God and Religious Faith is given immense priority and the same is instilled as a thought process among the students as well. Students as a result learn to develop an inclination towards seeking Refuge from Almighty instead of developing a Practical Outcome towards the Obstacles and hurdles faced in everyday life and spirit of enquiry and reform seems to be lost somewhere” it said. 5) The above prayer is based on Hindu religion and it is very different both in substance and form from the prayers of the other religious/ non-religious orientations mentioned above, hence, can the state impose the above mentioned “common prayer” on students and teachers throughout the country. 6) In Aruna Roy & Ors. Vs. Union of India & Ors. (1996) 3 SCC 212 held the distinction between “Religious Instructions” and “Study of Religions. The Court held that “Special care has to be taken for avoiding possibility of imparting “Religious Instructions” in the name of “Religious Education”.